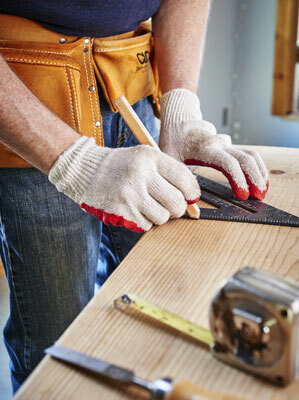 Carpenters work with power and hand tools. They build forms for concrete and frame buildings, walls, footings, columns and stairs. Wood framing includes house building, roofs, stairs, decking and sheathing. 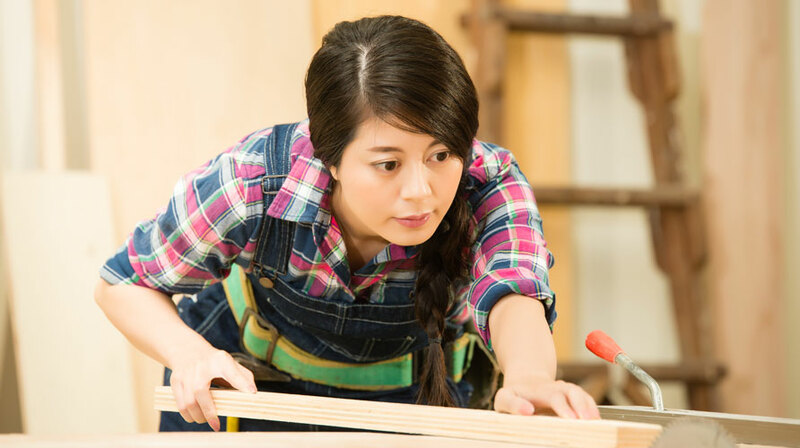 Carpenters install doors, windows, storefronts and handrails, build cabinets, counter tops and finished stair handrails. They also work on drywall, wood flooring, metal jams and ceilings. They may be involved in the original construction or remodel of almost every kind of structure, including houses and commercial buildings, bridges, churches or factories, and highways. 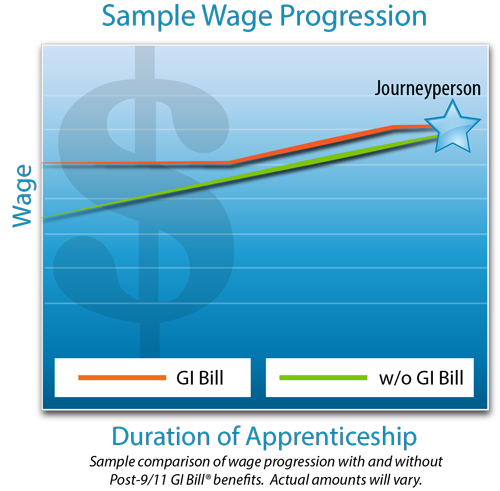 Gain 6-8% pay increase after every 1,000 hours of on-the-job training (approx. 6 months) plus required schooling.